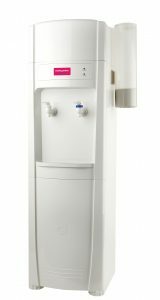 Water2water offer a range of filtered water coolers, available to rent or buy. We are Western Australian suppliers of Aquanet bottle coolers, partner plumbed in coolers, BIBO bench top coolers, parplus coolers and many more. Our water coolers will provide you with an unlimited supply of freshly filtered water with the options of ambient/chilled or boiling/chilled and freestanding or bench top units. We also provide plumbed in coolers or non-plumbed in coolers. Water2water are local water filtration experts and will provide you with the best filtration system and cooler for your area and application. When you rent a Water2water filtration system, we will attend to all of the servicing and will automatically schedule our technician to attend twice per annum to change all of the filters, clean and sanitise the equipment, check all of the lines and parts and leave you with the peace of mind knowing that the system is producing high quality clean drinking water. We also include all standard installation costs. If you prefer to purchase the goods outright, we offer a great after sales service and maintenance programme. To find our more, call us on our free call number 1300 88 03 03, email us at purify@water2water.com.au or send through an online enquiry.